Dr. Benton Quest is a research scientist who is frequently called upon for missions that require his scientific and technical expertise. 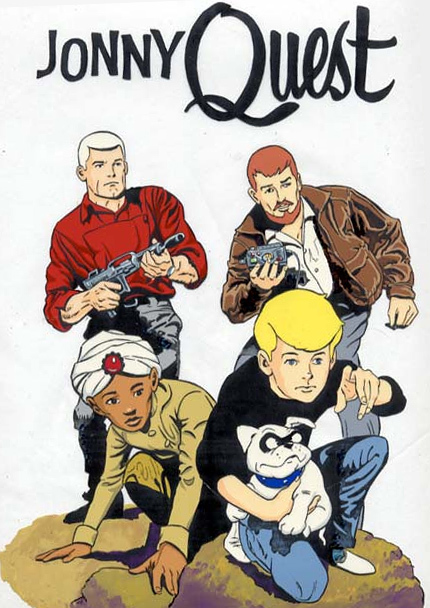 He is usually accompanied by his son Jonny, his tutor/bodyguard Race Bannon, their bulldog with the distinctive mask-like eye markings named Bandit, and Hadji, an Indian orphan who has special abilities of his own. Together, they investigate mysteries, perform rescues and battle nefarious villains around the world, most notably Dr. Zin. Enjoy !!!!!!! And Don’t Forget to Say Thanks !!!! !